".... for when I am weak, then I am strong"
Team Chase was set up in memory of Chase Boyd, to continue his legacy and show the world that a physical disability doesn't stop you from achieving amazing things. All it takes is a little creativity, flexibility, an open mind and a willingness to make things happen. Team Chase demonstrates that life is for living and adventure awaits just around every corner! Silver State 508. 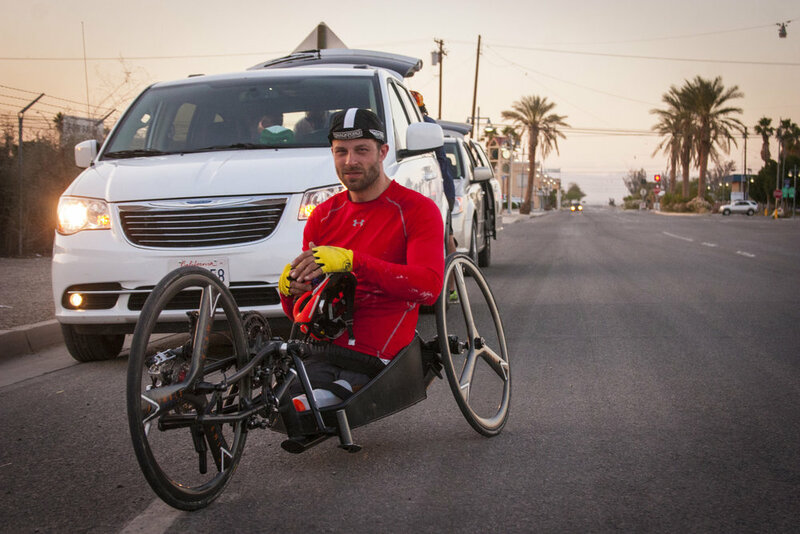 A 508 mile race through the desert and high mountains of Nevada. CAF Million Dollar Challenge. 7 days, 620 miles from San Francisco to San Diego. Team Chase is taking on another challenge. We are designing and building a new Tandem Trike for Lance Weir. The goal is to make it safer, stronger, lighter, and shorter, thus enabling the team to take on larger challenges. We expanded the team and connected with 6 UCSD engineers to help us with the design, and analysis of the frame. We have their expertise until March. Our thanks to those contributing their time, parts and expertise to this one of kind endeavor. Jose Doval, Jared Wylie, Bill Holland, John Page, Mike Lopez, Steve Rasmussen, Joe Bell, Charlie Cooper, and of course Lance, Andy Boyd, John Howard. We appreciate any donation of your time, expertise and financial support you are able to provide. "Adversity causes some men to break; others to break records."